Prime 1 Studio is proud to present 1/3 Scale MMDCMT-01DX: Batman Who Laughs Deluxe Version from Dark Nights: Metal. 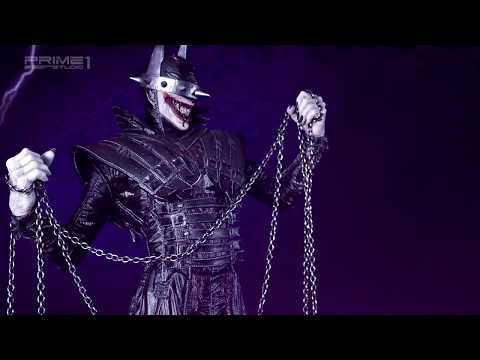 The Batman Who Laughs is a supervillain in the DC Comics universe. He is a “Jokerrized” version of Batman who originated from the Dark Multiverse. He is the team leader of the Dark Knights and their goal is to help their master Barbatos plunge the Multiverse into complete and utter darkness. This course of action makes them enemies of the Justice League. He serves as the secondary antagonist of the event Dark Nights: Metal. This is a must have for all DC Comics Dark Nights: Metal fan!